Opening reception of the Mitral Foundation Center. From left to right - Dr. Dennis Charney (Dean of the Icahn School of Medicine at Mount Sinai), Dr. David H. Adams, Jürgen R.A. Friedrich, Anke Friedrich, Dr. Hermann F. Sailer and Max Friedrich. The Mitral Foundation Center is the cornerstone of the Mitral Foundation, made possible by a generous gift from Anke and Jürgen Friedrich through their JAF Foundation. 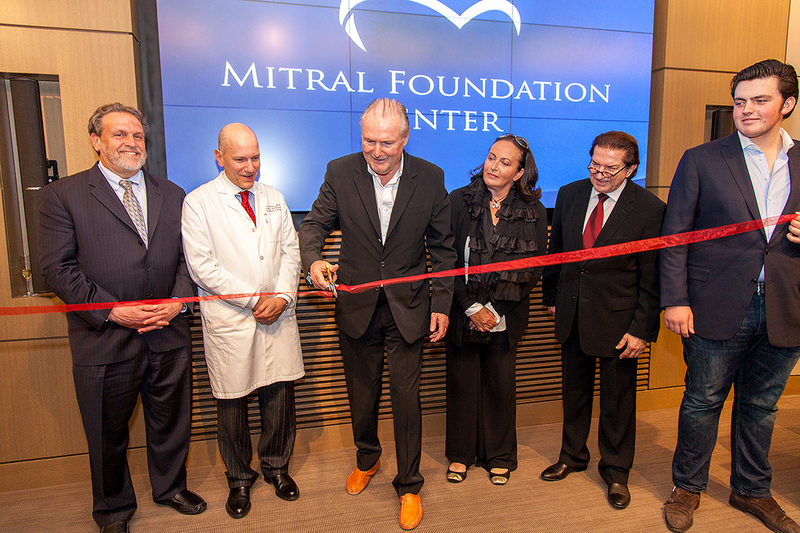 The official Mitral Foundation Center opening was held on May 10, 2012.